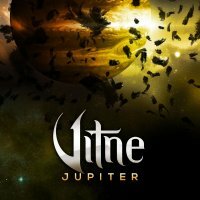 'Jupiter' is the new album from American solo artist Vitne. After playing in various bands in the Norwegian Hard Rock scene, Vitne ventured out on his own, partnering up with guitarist Julian Angel. The instrumental 'Mirror' captures the basic elements of the album pretty well; it is slightly haunting, anticipates the prominence of flute in the music, and is short, simple and, consequently, sweet. 'Masquerade' and 'Lion' kick things off in good style. 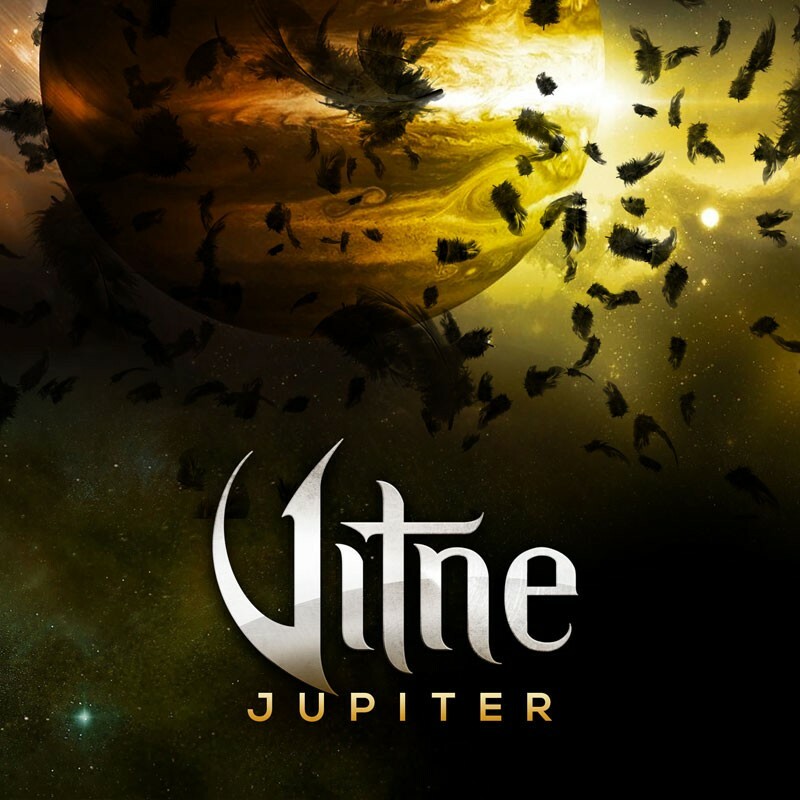 Heavy riffs are driving and catchy but Vitne's vocals end up feeling superficial, almost wooden. There is a touch of the Power Metal Operatic-style about the singing in the way he soars cleanly above the music; it's a bit strange at first but by the end of the album the vocals sit better on the ear. Vitne names X Japan as an influence and it's certainly audible in the vocal style. 'Make Believe' is a little monotonous leading on from 'Lion' and the two are almost indistinguishable. 'Are You Real?' and 'Under The Moonlight' are not the typical ballads you might find on a Hard Rock album, or indeed from an artist who used to play Punk Rock. Nevertheless, they are typical of Vitne's style of writing that seems to capture his reflections on his own daydreaming. 'Jupiter' has the guitar winding up into a heavy riff and the flute is back, soloing over the top. The featuring of the flute is subjective, like so many things in music. At times, it is a welcome contrast to the riffage, at others, it feels fragile and weak. 'Edge' continues on from 'Jupiter', picking up the pace again with more driving guitar. 'Say Goodbye' is the high point and a great finisher; the Pop Punk style comes out in a bouncy riff with the guitar soloing over the top excitedly. Vitne's vocals get a little roughed up too and he suits the higher energy and less formal vocal line. If you know Vitne, this album is far closer to his EP 'Endless Blue' (2015). It is thoughtful and wandering with a sort of laid-back, toned-down Power Metal style. It certainly doesn't have the Hard Rock hallmarks of his album 'Neon' (2013) or the bold, brash sound of his former bands on 'Not Far From Shallow Water' (2013). 'Jupiter' is confident, cruising and something a little different, even in the world of bands like X Japan.